Kimberly-Clark Corp. has filed suit against spinoff Halyard Health Inc. with the issue being who must pay a $350 million or more punitive damages award for fraudulent claims about the safety of surgical gowns. The Plaintiff claims in the lawsuit that Halyard Health should pay. The complaint was filed in Delaware Chancery Court one day after Halyard claimed in a new California Superior Court lawsuit that its 2014 spinoff agreement “does not expressly state” that Halyard must indemnify Kimberly-Clark for fraud, willful wrongdoing or punitive damages in a case that produced an overall judgment of more than $454 million. A jury in the U.S. District Court for the Central District of California returned a verdict against Kimberly-Clark for about $3.9 million in compensatory damages, plus interest, in addition to $350 million for falsely representing the liquid barrier protection of its MicroCool surgical gowns. The same jury found Halyard liable for more than $261,000 in compensatory damages and $100 million in punitive damages. Lawyers for the class said the companies marketed the gowns as “impermeable” and effective against pathogens like Ebola, putting health care workers at substantial risk. Kimberly-Clark says that Halyand must pay because of an indemnification agreement. Kimberly-Clark also claims that Halyard accepted Delaware as the two companies’ litigation forum in its spinoff agreement. According to Kimberly-Clark, a distribution agreement that detailed spinoff terms included a listing of current or potential post-spinoff litigation, with the California gown lawsuit included as a Halyard liability. The distribution agreement does not clearly, explicitly and unmistakably state that Halyard will assume or indemnify Kimberly-Clark’s liability for its own fraud or for any of the categories of conduct required to support an award of punitive damages against a corporation. Kimberly-Clark said Securities and Exchange Commission (SEC) filings by Halyard after the spinoff mention both the gown litigation and Halyard’s indemnification duties. The company asked the Chancery Court for declaratory relief and a ruling that Halyard’s “clear and unequivocal statement of its intention not to perform its duty to indemnify” amounted to breach of contract. The jury in the original lawsuits issued its outsized punitive damage awards after a trial that included documents, email and other evidence showing that Kimberly-Clark knew as early as 2012 that its protective gowns were failing performance and safety tests. The company nevertheless continued to market the gowns as impermeable and safe. Both companies said they plan to contest the verdict. Halyard also claims that California law and public policy also prohibit indemnification for punitive damages. The Delaware suit is Kimberly-Clark Corp., v. Halyard Health Inc. (case number 2017-0332) in the Court of Chancery of the State of Delaware. The California suit is Halyard Health Inc. v. Kimberly-Clark Corp. (case number BC659662) in the Superior Court of the State of California for the County of Los Angeles. 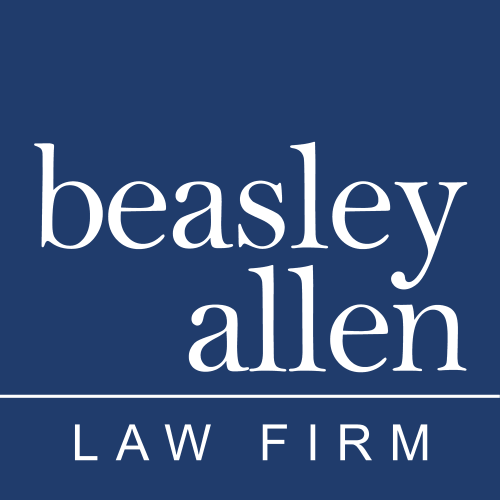 Beasley Allen attorney, Rob Register, discusses the tragic death of Malquan Robinson, Jr.